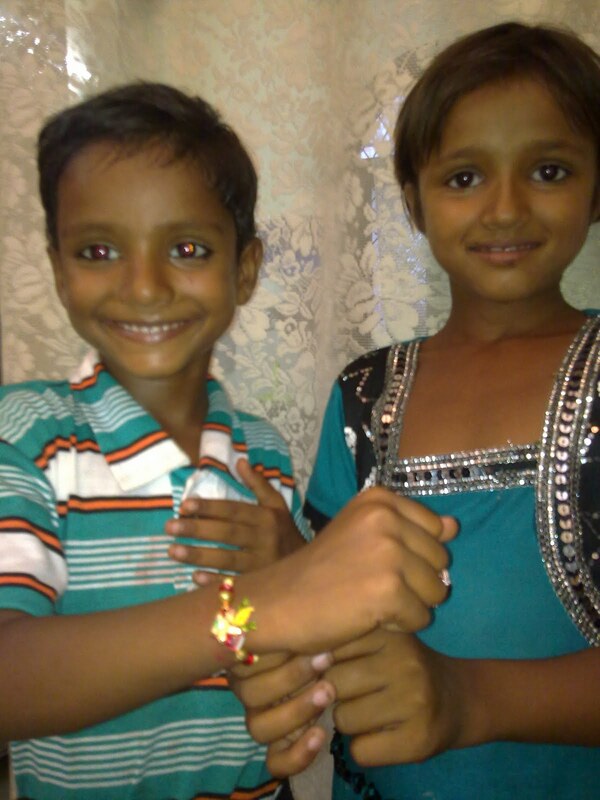 Raksha Bandhan (Raksha means protection and Bandhan means bond) is the name of a festival which is celebrated across the country irrespective of color, caste and creed. It is the festival of bond of love between brothers and sisters. Today it is celebrated throughout the country with traditional fervour and enthusiasm. On this occasion, sisters tie Rakhi (Rakhi means a thread duely decorated) or sacred thread (a simple red or yellow thread) on the wrists of their brothers and pray for their well-being. Brothers, in turn, vow to protect their sisters amidst all circumstances. For them who cannot understand this festival, it is just like tying of friendship band on friendship day. But the difference is that Raksha Bandhan is celebrated between brothers and sisters. However in India, devotees too surrender themselves before God offering Rakhis seeking protection and blessings of God. This is a unique festival by all means which causes immense love between a brother and sister. It is being celebrated since the time immemorial in Indian Culture. History is evident that whenever sisters have been in trouble, brothers have protected them from all problems with all their pelf and power. Like all Indian festivals, the festival of Rakhi has numerous tales associated with it. It is always interesting to know the tradition and mythology behind every festival and with the help of them the importance and spirit of any festival can be understood. The most important story about Raksha Bandhan from Indian religion and mythology is about Lord Krishana and Draupadi. Once Lord Krishna got His hand injured while doing some work. Rukmani, His wife, immediately sent her servant to get a bandage cloth for the wound. Sathyabama, His second wife rushed to bring some cloth herself. Draupadi, whom Lord Krishna always took as Her Sister, was watching this incident and without waiting any more, she simply tore off a part of her sari (Indian dress of woman) and bandaged His hand. In return for this deed, Krishna promised to protect her from all troubles in time of her distress. On this incident Lord Krishna uttered the words 'Akshyam' which means: 'May it be unending'. And we see that after this incident, this tradition of tying up sacred thread on the hand of brother is continuing in Indian Culture. In Mahabharata (the Greatest War between Kauravas and Pandavas) , we find that when Draupadi was insulted in the court of King Dhritrashtra, father of Kauravs (symbol of evils) and when Duryodhan, son of the King, tried to disrobe her in the open court, that was how Draupadi's sari became endless and Lord Krishna, her brother, saved her from insult and embarrassment. In the medieval history of India, there is one more important and interesting tale of this bond of love between brothers and sisters. This is the true incident which happened between Queen Karnawati and Mughal Emperor Humayun which is popularly known in India even today. Widow queen Karnawati was ruling over Mewar region of India (Rajasthan) as a care taker empress after the death of her husband, King Rana Sanga. She was ruling in the name of her elder son, Vikramjeet Singh. When Bahadur Shah of Gujarat region attacked Mewar for the second time, the queen, begged her nobles for support in that time of crisis but they betrayed the queen. Knowing this betrayal, queen Karnawati wrote to Humayun, the then Mughal Emperor of Delhi for help. She also sent him a Rakhi and sought protection. It is very interesting to know that Humayun's father Babur had already defeated King Rana Sanga in a fierce battle in 1527. As such there was an enmity between both states. When the Rakhi sent by the queen reached Humayun, he was in the middle of another military campaign. He took that call for help immediately abandoning that military campaign, he rushed to Mewar for help of queen Karnawati. Bahadur Shah however could not go any further and had to turn away from Chittor as Humayun’s military reinforcements arrived by then to give fight to Bahadur Shah. Bahadur Shah was defeated. Humayun then restored the kingdom to Karnawati's son, Vikramjit. As such Humayun kept his word to protect the sister who sent him a Rakhi. As such this is a wonderful festival of brothers and sisters. This festival also plays an important role in the society. This festival strengthens fraternal feelings and the spirit of kindness and goodwill in the society. This festival promotes harmonious social life by reaffirming the faith of citizens in the traditional values of love and protection fostering community bonding irrespective of caste, creed and color and highlights the importance of women in Indian society not only as a mother but also as a sister. 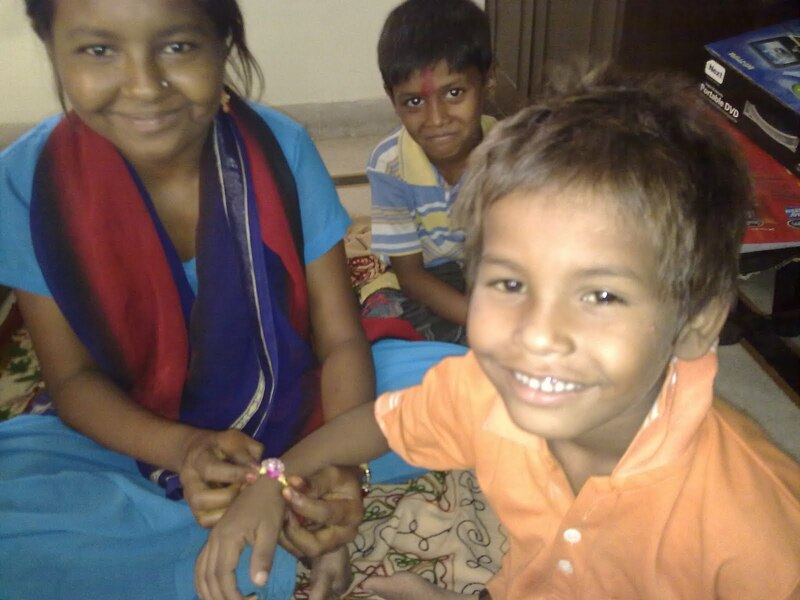 Ek Koshish One Attempt too celebrated this festival of Rakhsha Bandhan with its little brothers and sisters. 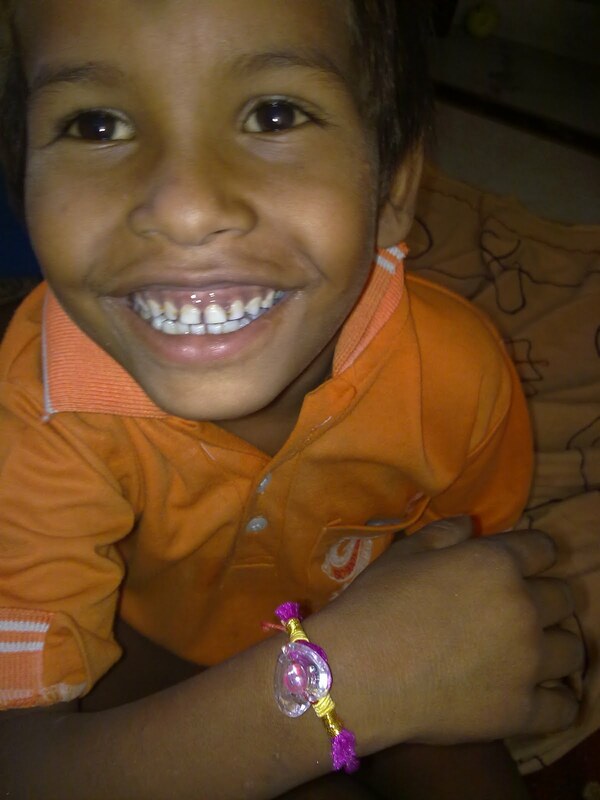 All little sisters tied Rakhis on the small wrists of their little brothers and entire team of Ek Koshish, put tikas (putting red color and rice on foredhead) on their foreheads, distributed sweets and some money was given by the brothers to their sisters as a token of love and affection towards their sisters. We hope that we shall succeed in our vow to protect these younger brothers and sisters from all distresses of their life through better education and training. New Batch of Students at Ek Koshish!